Live dealer play is one of the coolest things that you can do online right now because it’s just like being at a land-based casino on your computer or other device. BetOnline.ag has an excellent live dealer casino, and they’re giving you a chance to get paid for trying it out with an opportunity for a $25 free play bet. The way this works is that your very first bet in the live dealer casino will be subject to certain terms and conditions that make it a winning one no matter what happens. To cash in on this offer, place your first bet worth $25 on a game in the live dealer casino. If you lose, then all you have to do is shoot off a quick email to freeplay[at]betonline.ag asking for your refund. Make the subject of the email “$25 Live Dealer casino bet,” and make sure to include your account number and the reference number or ticket number for the qualifying bet itself. That’s all you have to do, and the $25 reward will be added to your account within two days. This free bet is available for play in the sportsbook or racebook in what basically amounts to a $25 freeroll. If you claim BetOnline.ag’s $25 free play reward, then there’s a 6x wagering requirement which comes to $150 that has to be met before you can cash out. You need to make sure that you clear these quick requirements within three months or the bonus will expire from your account. Overall, this is an awesome opportunity to get a bet in on a sure thing, and there aren’t many of those that come along when you’re making bets of any kind. Over the past two decades, the online casino industry has evolved at an astounding rate. The latest innovation is that of live dealer games which allow you to play in real games with real dealers using your computer. CasinoLuck has these games available for you with exceptionally high-quality video and audio streams, and if these are the games that you’re wanting to play, then you should take advantage of their awesome live dealer casino bonus special offer. The way this offer works is that you’ll get a 100 percent match worth up to $100, and the minimum deposit is $10 for this offer. There’s a simple 50x wagering requirement on the deposit and the bonus, and while this might seem on the high side, remember that this is for some of the games with the highest payouts in the online casino industry. So if you deposit $75, you’ll get a $75 bonus, and you’ll need to wager through only $7,500 before you’ll be allowed to cash out your winnings. It’s that simple. CasinoLuck’s live casino offering includes a larger variety of games than you typically would find in these online establishments. You can play roulette, blackjack, casino hold’em, Baccarat and more when you play. With a 100 percent match bonus especially for live dealer games, you’ll be getting the best deal possible by simply doubling up your initial deposit. This is a great offer, so if you’re a fan of chatting it up with dealers and other players, then this is the place you need to be. Because of better software, faster Internet connection speeds and other advances in technology, one of the coolest options we have for playing online casino games these days is the live casino. Through high-definitions video feeds and an interactive user interface, we can sit and watch live games play out right in front of us just as if we were at a land-based casino. NoxWin knows how much players love getting in on this action, and that’s why they’re offering up a pretty good deal for new players. You can get up to €88 with this promotion. Here’s how it works. On your first real money deposit to NoxWin, you’ll be given a 100 percent match bonus if you use the LIVE88 promotional code. This code requires a minimum deposit of €10, and this is worth up to a maximum of €88. You can play live Baccarat, blackjack or roulette with this promotional offer, and that means that you’re going to double your bankroll up to €88 before heading into these live games. This is an awesome opportunity, and you need to make sure that you take advantage of it if you’re a fan of live games. The terms and conditions for this deal are based around a 50x wagering requirement on the bonus only. So if you deposit €50 for a €50 bonus, you’re going to need to clear 50 x €50 = €2,500 of play in the live games before you are able to cash out. You’re going to have a total of 20 days to clear these requirements after you make your deposit, so make sure that you will have time to put in the play needed when you fund your NoxWin account. Overall, this is an excellent deal and is one of the better live dealer casino bonuses that you can find online right now. Blackjack Bliss Promotion being offered at Ladbrokes! If you are a fan of blackjack then you won’t want to miss out on a fantastic promotion being offered at Ladbrokes. All you have to do in order to enjoy the Blackjack Bliss promotion being offered is to make sure you go to the Live Blackjack tables on the promotion days and you will be eligible to receive as much as 25% for an amount good for as much as £50 on what the house takes. In order to be eligible for this promotion you will need to be playing at the Live Blackjack tables between Tuesday 15th to Thursday 17th October 2013 and have deposited a minimum of £25 into your account. The minimum bonus amount is £5 and the maximum amount is £50. Once you have verified that you are eligible to receive this bonus you want to enter the appropriate details into the appropriate boxes and click the “Claim Now” button. To clear the bonus you will need to make the minimum £25 deposit and turnover a £25 minimum on the Live Blackjack table. 10Bet Live Dealer Casino is offering a €250 welcome bonus! If you want to enjoy all the excitement of live casino games, then be sure to go to 10Bet where you will have access to fantastic live casino games and the ability to enjoy a very generous €250 welcome bonus that will help you to get going. This bonus is good for 100% of your initial deposit into your new 10Bet account and is good for up to €250! The bonus code you will be using in order to claim this bonus is 100CASINO. In order for your deposit to be eligible for the bonus it must be worth a minimum of €20. This bonus cannot be combined with other offers and you must meet the rollover requirements before you will be allowed to withdrawal the bonus money and winnings. The rollover requirement for this bonus is set at 35 times both the amount of the bonus and your deposit. Great news is all the casino games can be used in order to meet those requirements with the exception of the craps, baccarat, and progressive games. Please note that you must meet the requirements for clearing the bonus within 15 days of claiming it. You must be a new player in order to claim this bonus and it can only be claimed one time. Ladbrokes is full of great opportunities for online gamblers to take advantage of and it is one of the most respected online gambling sites in the industry. If you are ready to enjoy the best online casino games available, then this is where you should go. Right now you are also invited to enjoy a new live dealer casino bonus that is worth £25 and all you have to do to get it is register for a new player account and make your first deposit of at least £25 into your account. Just one more thing that is so great about this bonus is you will find it very easy to clear since the rollover requirements are just 8 times to clear it. Once you meet the necessary requirements for clearing the bonus you just need to complete a claim form and you will see the bonus in your player account within 48 hours. 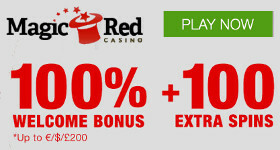 This bonus is only available to players who reside in the UK and Ireland and who are new to ladbrokescasino.com. Ladbrokes also offers you a lot of other fantastic reasons to play there including a great selection of games and other exciting bonuses and promotions.